I have been fascinated by the fairy tale ‘The Princess and the Pea’ for a long time. Being one of those kids that had to have her ‘sock seams just right’ in my shoes, I wondered what it was like to sleep on a stack of mattress and still feel that pea. I could relate! Hans Christian Andersen wrote many fairy tales and this one must really speak to people as it’s been published as books, sculptures, movies and cartoons. An unexpected benefit of the Children’s book theme this year is that I’m learning so much about the authors and the books. It’s really fun to research them and find great links so you can learn more too. Hans Christian Andersen's fairy tales have been translated into more than 125 languages, which really proves just how loved and timeless these tales are. Being written back in the 1800’s you can read this fairy tale online. As an adult reading this, I love the quirky style of the story, and the ending just cracks me up! As a quilter I keep thinking about stacking quilts this high, which quilts would I select, and how would I fold them nice & neat so they don’t fall over. Maybe we need a ‘quilter’s version’ of this story, wouldn’t that be fun? So… do you also wonder if back in May of 1835 Hans thought of stacking quilts? You can find a free coloring page here at Hello Kids. Read the fairy tale online here at Childhood Reading. Learn more about Hans Christian Andersen. Here is the Wiki page for Princess and the Pea book. 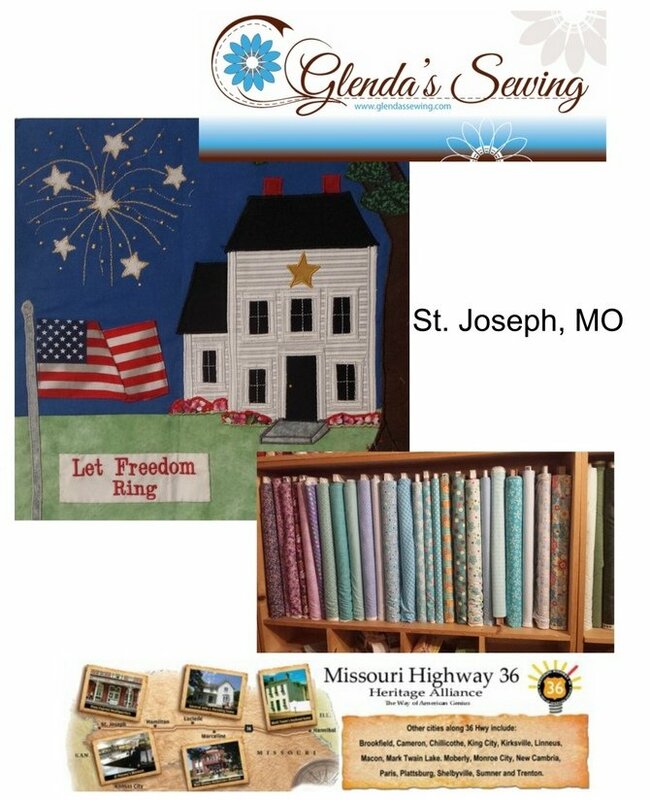 Owner Glenda Bush of Glenda’s Sewing is in St. Joseph Missouri since 1988. Originally started in one corner of the basement of the family home, their family owned and operated company has experienced tremendous growth throughout the years at 18255 County Road 349, located approximately 8 minutes North of St. Joseph, and has taken over the entire home. The upstairs consists of quilting fabric, notions, gifts, and classroom space. The basement continues to be the work space for the long arm quilting machine and upholstery. They have supplies, classes, and they provide professional long arm quilting, upholstery (commercial, household, outdoor, and automotive), how cool is that! After 27 years of service, Glenda’s Sewing Cupboard is as passionate as ever about providing great customer service to our customers in a variety of areas including quilting, sewing, upholstery, and carpet binding, and supporting their creative endeavors! The American Genius Highway Quilt Trail includes 18 shops. Many of the associated businesses are conveniently located just off Highway 36, while others can be found within the Highway 36 Corridor (a zone spanning 36 miles north and 36 miles south of the actual highway). The 2017 Quilt Trail Runs until October 2, 2017. Participants will have until October 31, 2017 to turn in a quilt top to a participating shop. More details at their website!. 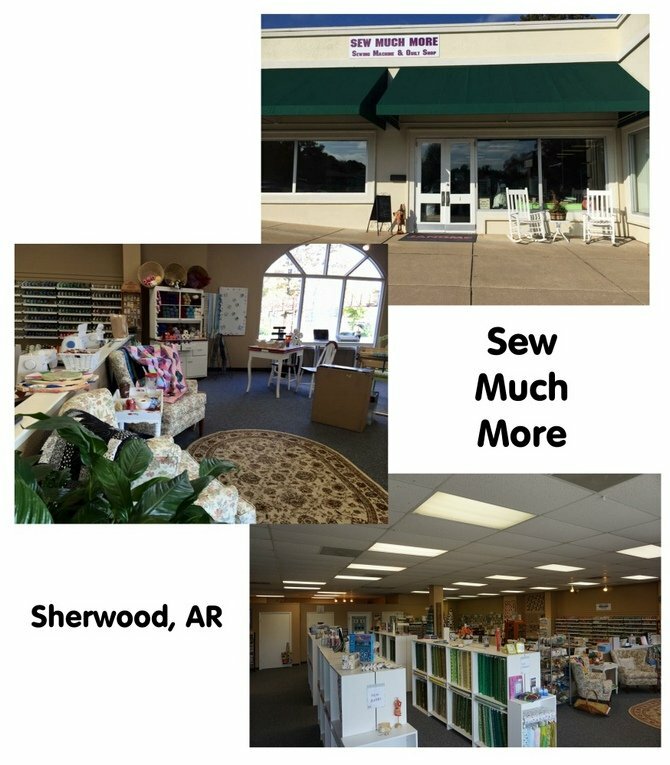 Angela Peabody is the owner of Sew Much More in Sherwood AR. They have been Pulaski County's one-stop sewing destination since 1996 with an extensive selection of fabrics (over 3000 bolts) notions, patterns, books, kits, tools, sewing machines. They are also authorized dealers BERNINA, Pfaff, Singer, Janome, as well as providing superior service and repair by certified technicians with over 60 years of industry experience. 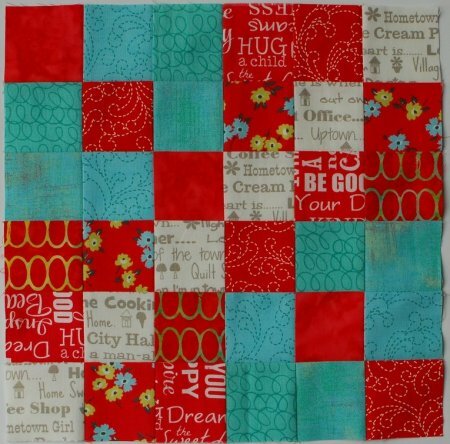 We also offer a wide range of fun, informative classes for sewing and quilting enthusiasts of skill levels. With over 100 years of combined sewing and quilting experience, our mission is to promote sewing enjoyment as we improve skills, teach new stitching techniques, instruct new machine owners, and inspire creativity. Our friendly, knowledgeable staff members are always on hand to guide customers to the products that will enhance their sewing experience and help them successfully complete their favorite projects. 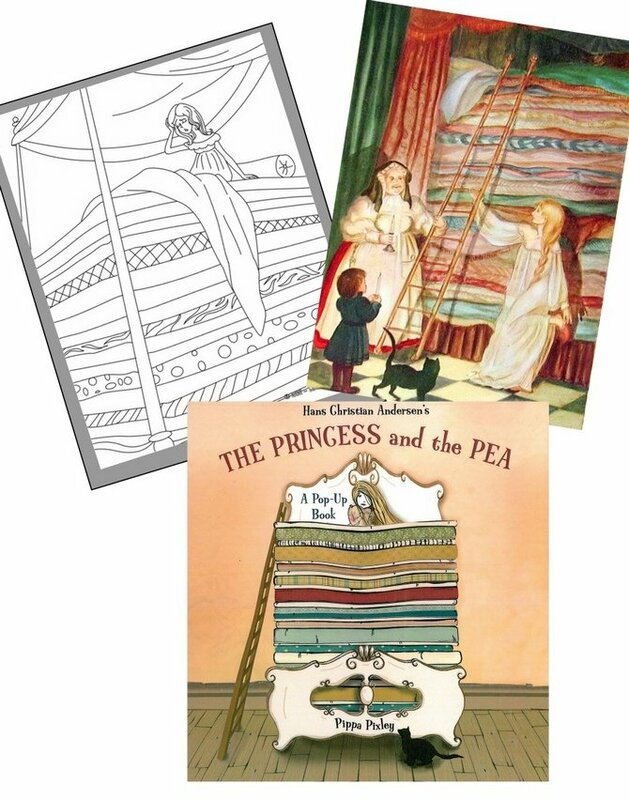 Do you have a favorite memory of reading The Princess and the Pea? What do you think of this block design? I'd love to hear your thoughts!